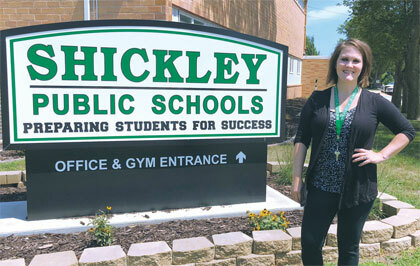 This Wednesday, Sadie N. Coffey begins her first day as Superintendent at Shickley Public Schools. Expect the mother of three to be right there in the middle of the returning students, greeting kids and putting names with faces. "I'm so excited for a week from today," said Coffey last Wednesday afternoon in Shickley. "Having the staff together with the kids...getting everybody in the building and getting the school year off to a great start. Kids and families have been coming in and visiting. 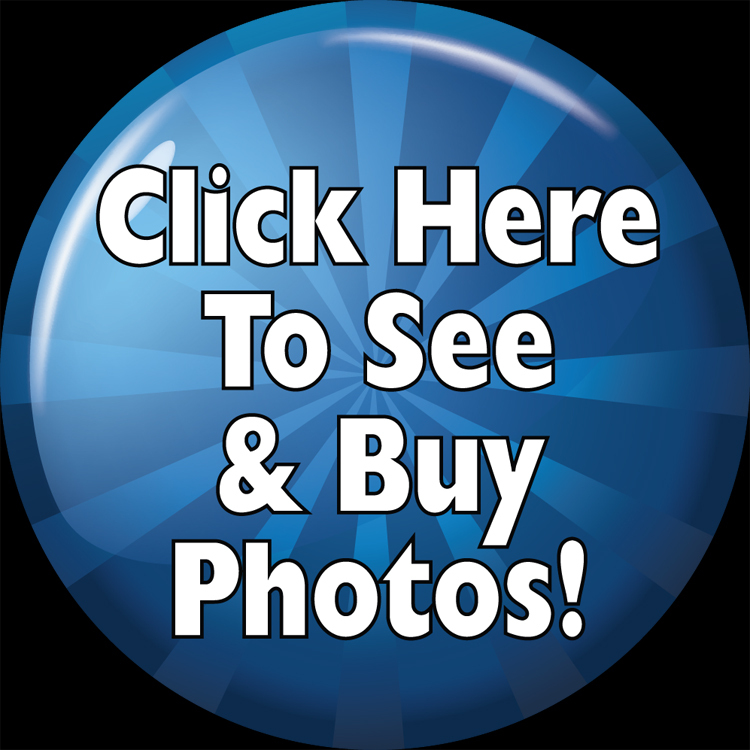 And, I've really enjoyed visiting businesses downtown and getting to know families and Shickley names." Coffey said that attending the Fillmore County Fair and getting to see Shickley FFA members in action with their animals was also a fun way to get exposed to kids and their families. Coffey comes to Shickley after serving four years as principal at Heartland Community Schools. A Franklin High School graduate, Heartland was a good choice for her first principal job because she relates easily to rural communities and the community support that is needed to make these schools work. When the position came open in Shickley, she decided to apply. Her husband, Phil, is part owner of Coffey Scrap Metal in McCool Junction so he could make the new location work if Sadie was selected. "The location would work well," she said. "I knew the school (in Shickley) had great teachers, great community support and kids. We also have a seven-month old and I was excited about having a school-owned day care right across from the school. I was just real excited about applying here." Phil and Sadie have three kids including Frankie, the toddler, Tucker, a sixth grader, and EmyJay, a first grader. The couple has purchased a home in Shickley. After her high school graduation, Coffey attended Nebraska Wesleyan University and earned special education and elementary teaching degrees. She spent five years teaching special education and reading at the Holdrege Middle School. While there, she earned masters degrees in special education and a elementary principal endorsement. Her first principal job was at Heartland where she was also the school district's SPED director and curriculum director. She also earned her third masters degree while in Henderson. "I knew right away in college I wanted to have as much affect on as many people...kids as possible," Coffey said. "Being a principal, allowed me to help teachers and help a lot of kids. I've had lots of experience working with kids of all ages. Also, in my years at Heartland, it allowed me a chance to work with large groups of people. I always thought probably down the road, I would try for a superintendent job. Then Shickley came up...great community...wonderful support...I will throw my name in the hat." 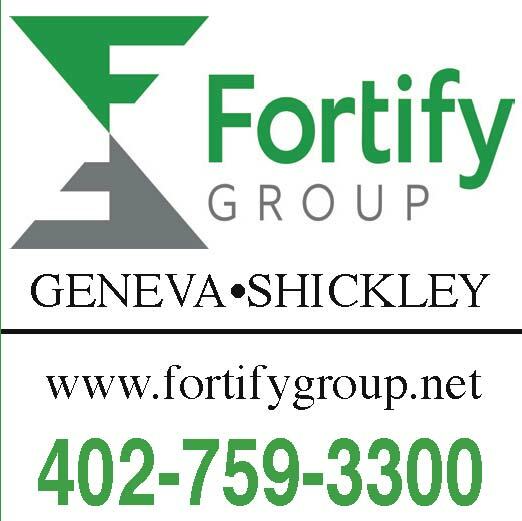 And now, in Shickley with the school district operating an early-learning facility and daycare since November of 2013, Coffey gets to be exposed to even more children. "Here, it is truly diapers to diplomas," she said. "I will get to have a true affect on all kids in our school district." Coffey isn't the only new face to greet students on August 15. Erik Sokol is the new principal in Shickley. Sokol was the building principal in Bruning (Bruning-Davenport Unified School District) before a stint in Freeman. "Good kids...good community...good school...I'm excited to be here," Sokol said. Kim Nuss is the new Art teacher in Shickley and Nancy Hinrichs will be teaching English. Darlene Mick is now the head cook in the school district and Kim Shaner is the new toddler room teacher. Coffey also realized she's coming to a school district that has been achieving on an excellent pace. "They have a lot to proud of here," Coffey said. "They just won the Class D (NSAA) All-Activity's Cup...they were No. 3 in the state in ACT scores...they have excellent programs on their own in one-act, speech. The BDS co-op is also very strong with a state football title and third in volleyball last year. To have all that in place is a very lucky thing to have." With her new position as superintendent, Coffey will be spending more time with strategic planning and budgets. Attendance numbers in Shickley vary a bunch—three in third grade and 16 in fourth grade, for instance, which present their own challenges. "We need to be thinking 10-plus years down the road here, not just one or three," she said. "You always try to be ahead of the game. And that means, recruiting for the future...upcoming teaching staff retirements...how to add more technology here...things like that." "The school board here's focus is No. 1 for the kids," Coffey said. "They are going to rally around that and make sure they are doing what's right for the kids. Provide our kids what they deserve the best they (we) can."